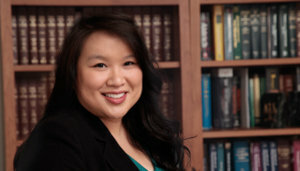 Trang Hoang Lin is a Partner at Rakoczy Molino Mazzochi Siwik LLP. She holds a Bachelor’s degree in bioengineering. Ms. Lin is heavily involved in the firm’s regulatory counseling and litigation practice. She concentrates primarily on the statutory and regulatory issues in obtaining FDA approval for generic drugs, under the Hatch-Waxman Amendments to the Food, Drug and Cosmetic Act and the Medicare Prescription Drug, Improvement and Modernization Act, and biologics, under the Public Health Service Act and Biologics Price Competition and Innovation Act. She has extensive experience with, among other things, the filing of citizen petitions, related comments, and other administrative submissions with the U.S. Food and Drug Administration. She also has experience in several regulatory disputes arising under the Administrative Procedure Act, including actions brought against the FDA. Ms. Lin also is intimately familiar with the statutory and regulatory framework surrounding suits arising under the Hatch-Waxman Amendments to the Federal Food, Drug, and Cosmetic Act. She has experience at every stage of litigation, from evaluating patents and counseling clients on pre-suit patent infringement and invalidity issues, to handling fact and expert discovery, and participating in Markman briefing and hearings, trials, trial and post-trial motions and briefs, and appellate work. Prior to joining RMMS, Ms. Lin served as a patent attorney for Fresenius Kabi USA (formerly known as APP Pharmaceuticals). While at Fresenius Kabi, she worked on a wide-range of intellectual property matters, including those involving pharmaceutical products and medical devices, and was responsible for assisting with the development of global IP strategies. Ms. Lin also previously was an associate at Winston & Strawn LLP, where she was involved in numerous Hatch-Waxman patent litigation cases.